(Press Association) House sale levels are flat or falling across large swathes of the UK as the market slows, surveyors have reported. Homes taking longer to sell, a declining interest from buyers as the flow of freshly marketed properties deteriorates, and the asking prices of top-end homes coming under pressure were all factors highlighted by the latest housing market survey from the Royal Institution of Chartered Surveyors (Rics). It suggested the recent Bank of England base rate hike from 0.25% to 0.5% may also be having an impact on activity. With many regions showing a subdued trend in newly agreed sales in October, momentum in the market is likely to remain subdued in the near-term, according to Rics. A net balance of 20% more surveyors reported sales falling rather than increasing in October. Wales, Scotland and the north east of England bucked the downward trend, seeing a pick-up in sales. Interest from buyers also continued to decline, with 20% more respondents seeing a fall in new buyer inquiries over the month. Rics said its survey also points to a deterioration in the fresh flow of properties coming on to the market. Looking at house prices, the survey showed a balance of 1% more surveyors reporting a price rise nationally rather than a fall – which Rics said indicates a flat price trend generally across the UK. But it also said there are large regional variations. In London, 63% more surveyors reported a fall rather than rise over the month – marking the weakest reading since 2009. Rics said surveyors are also reporting a weakening picture in the South East, while there were also negative readings in East Anglia and the north east of England. By contrast, the north west of England, Wales, Scotland and Northern Ireland all gave readings which point to house price gains. Surveyors were also asked about how selling prices are comparing with asking prices. For properties marketed at over £1m, seven in 10 (71%) surveyors said selling prices were coming in below asking prices. 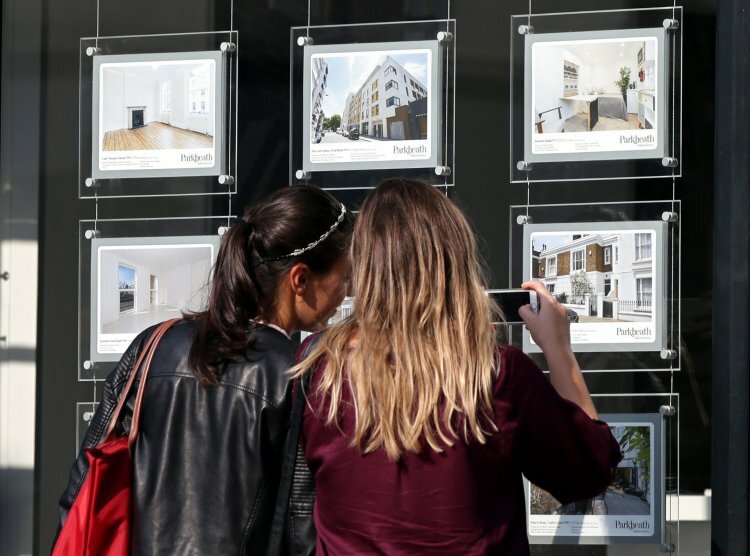 For homes marketed at £500,000 to £1m, 62% of surveyors said selling prices were coming in lower than asking prices.